It all happened before my own eyes as I used to sing for PTV in those days. Ghulam Abbas sang this national song in such a manner that it became an instant hit and would be telecast many times a day. The video depicting Pakistani urban and rural culture coupled with images of our armed forces and preparation raised the morale of the masses. As far as the melody is concerned, it had variations in all three stanzas. The overall impact was not only inspirational – but provided melodic treat as well. Ghulam Abbas remained busy in giving playback score for Pakistani films all his life. In my opinion, he got real breakthrough from film ‘Ajnabi’ in 1975 with a hit song Woh Aa Tau Jaaye Magar Intezar Hi Kum Hai/Woh Bewafa Tau Nahi Mera Pyar Hi Kum Hai composed by Nisar Bazmi. The song was filmed on Muhammad Ali for Deeba. Another song was ‘Main Nei Roka Bhi Nahi Aur Woh Thehra Bhi Nahi’, which became popular like a film song. It was probably one of the best Ghazals sung by Aslam Ansari. Originally, it was a Radio Pakistan production recorded in 1977 by producer Khalid Asghar. Ghulam Abbas later sang it in his live performances like in PTV’s music programmes ‘Meri Pasand’ and ‘Raat Gaye’ etc. Two other Ghazals that need mention are Munir Niazi’s ‘Imtihan Hum Nei Diye Is Dar-e-Fani Main Bohot’ and Arsh Lakhnawi’s ‘Hairan Hun Keh Yei Kaun Sa Dastoor-e-Wafa Hei’ – both composed by Master Manzoor for Central Production Unit (CPU), Radio Pakistan, Lahore. Those were the heydays of CPU and invariably two songs were recorded on a daily basis. There was no dearth of funds back in the day. He was selected by Bengali music director Robin Ghosh settled in Lahore, for the film ‘Do Saathi’. The song ‘Aise Woh Sharmaein’ was filmed on Rehman against Shabnam. 1970s was a lucky decade for Ghulam Abbas. His active singing years for films were between 1971 and 2006. He disclosed that he had rendered above 5000 songs for film. According to him, his non-film songs are around 4000. Ghulam Abbas was born to a conservative family in Jhang on January 01, 1955. He studied till class eight in Multan. That is why some people report that he was born in Multan – which is not true as disclosed to me by Ghulam Abbas himself. As mentioned above, apart from rendering songs for film playback, he has rendered many songs for Radio Pakistan including Ghazals, Geets and Kalam-e-Iqbal. His first performance was at Faisalabad Music Conference when he was just 9 years old. Musicologist Anis Shakoor says that Ghulam Abbas is blessed with a unique blend of resonant voice and a lasting passion for music. Unike some of his predecessors, he did not possess any musical background. God Almighty gave him a very impressive singing voice and he as a child he also used it to recite Hamd and Naat in public gatherings. He moved to Lahore at a young age and settled there. In Lahore, barely a teenager, he developed an intimate knowledge of various faculties of music and pursued his academic education as well. Ghulam Abbas has obtained Master’s degrees in Philosophy and Urdu. He informed that he is in the process of completing his doctorate work with an Australian University in music. It is a formidable achievement. For films, Composer Mushtaq Ali selected Ghulam Abbas for his film ‘Aashiq Loag Saudaye’ in 1977. Mehdi Hassan listened to the song ‘Ye Hari Bhari Aabadiyaan Geet Gaati Wadiyaan Neelay Gagan Kei Talay’ by Ghulam Abbas and advised him to approach Ustad Ismail Khan for music lessons. Ismail sahab also happened to be the uncle and mentor of Mehdi Hasan. 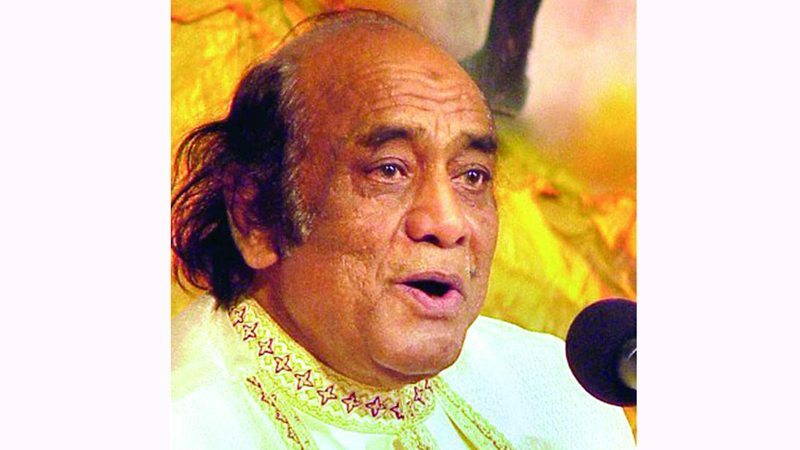 In fact, the unparalleled pathos and longing in Mehdi Hasan’s unmatched voice is closest reflected in the vocal cords of Ghulam Abbas. He also claims to be the disciple of Ustad Nazar-e-Husain. He learnt music notation from Nisar Bazmi and Peter who were experts in notation writing. ‘Jan-e-Tamanna Kab Tak Tum Na Pyar Mera Pehchano Gey’, film ‘Aashi’, July 1, 1977, ‘Teray Naal Lar Gaye Nain’, film ‘Daagh’, (Ghulam Abbas – Nurjehan) to name a few. 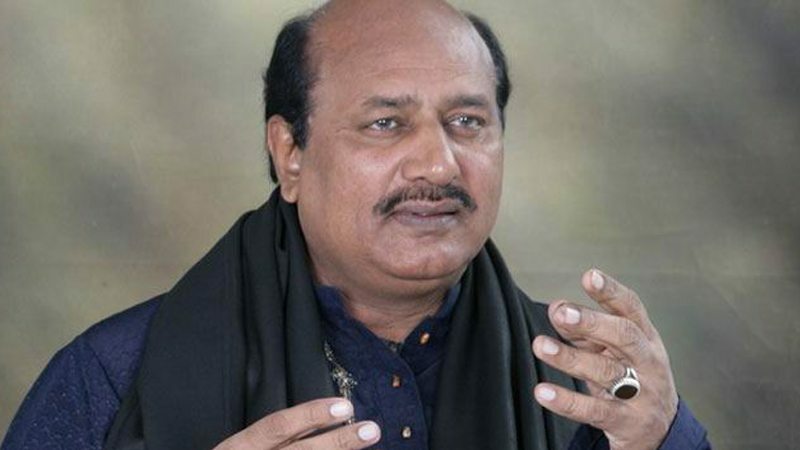 Ghulam Abbas won the Nigar Awards for best singer in the films ‘Maazi Haal Mustaqbil’ in 1978, ‘Qurbani’ in 1981, ‘Insaniyat’ in 1993 and ‘Rani Beti Raaj Karay Gee’ in 1994. He received the Presidential Award Tamgha-e-Imtiaz in 2011.